Snow Blowers are going on sale in the late summer period and your wondering if your should hire a snow clearing company. The sales look attractive, but do you really want to operate one of these noisy machines? Where will you store it when it is not on use? They are heavy and difficult to transport if you need to have repairs completed. Can you maintain it yourself and what do you need to do anyway? These are all questions that many people ask themselves every year when they look at the snow blower sales available. We have summarized some of the main issues to help people make a decision regarding which solution they should consider. Hire a snow clearing company vs. buy a snow blower. Cost – Sure there is a large up front cost to buying a snow blower, but how quickly will you spend more money hiring a company to clear your driveway. 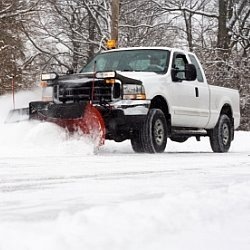 With many contracts running in the $300 to $500 range a year, most people will find that within 3 to 5 years their snow blower will be the less expensive option. Operation – are you comfortable operating one of these machines. The trick is to let it do the work and just focus on steering. They are noisy as well. Try out a neighbors machine if you have concerns in this area. Storage – were will you store the snow blower when it is not in use. Many people find that they cannot store it in their garage and have to leave it outside. Over the years every machine will deteriorate so make sure you have someway to protect it. Maintenance – can you change the oil, check the belts and the spark plug. If you cannot, you might want to hire a snow clearing company. These tasks are simple and straight forward but not everyone wants to do the maintenance. Convenience – It is very nice to look out your window in the morning and see that your driveway is already clear. Getting to work is no problem at all. If you travel, then hire someone to clear the snow. You want the house to look live in while you are away and the driveway to be clear when you return.